Today marks 1 YEAR of my Tiny Kitchen Blog! This makes me happy. So I’ve got a good one for your tastebuds, yes I do. You know, I don’t really have much practice cooking with liquors. I like to cook with wine, but half the time I don’t know what I’m actually doing. I know all I need to know –> it tastes good. My AWESOME sister and brother-in-law gave me the most thoughtful gift for Christmas. She used an old wooden box, and stained it all fancy. Inside, I found fresh dried figs, a bottle of Jack Daniels whiskey, and delicious chocolate bark, all inclusive with a recipe card for a “Bourbon Soaked Chocolate Dipped Figs.” SAY NO MORE. That girl. Her and her hubby know me so well. A handful of things I love, all in one package. While the chocolate dipped figs were out of this world, to avoid having too much heavenly dessert around the house, I put them to another use as well. Take a look! 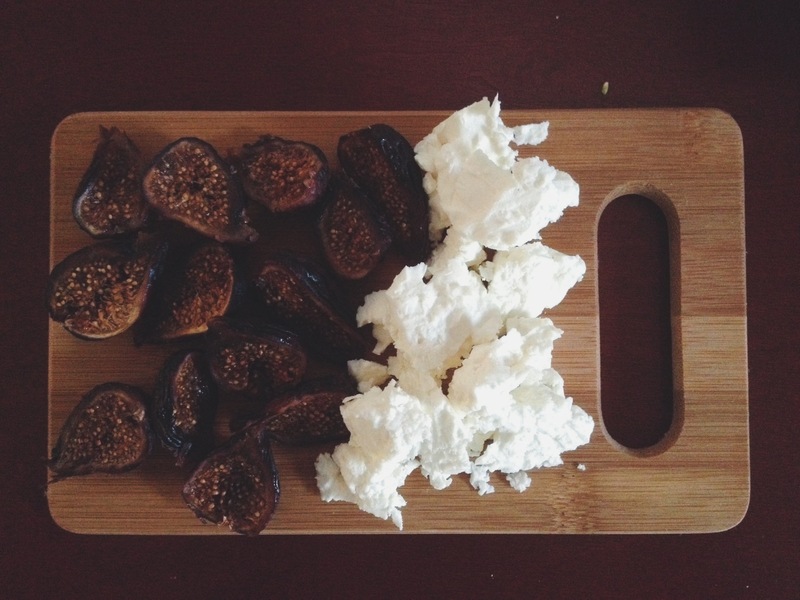 Yesterday, I soaked the figs in whiskey (overnight), halved them, and served them with fresh sheep feta chunks, and wine. It was a flavor roller coastaaa. Bring bourbon to a simmer, on medium heat. 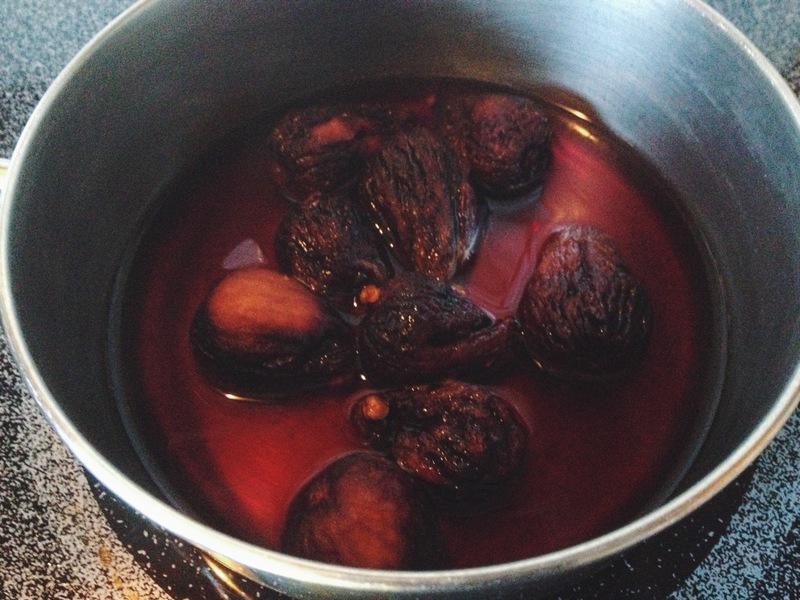 Add figs, turn off heat, and let them steep. I let mine steep for 1 hour. . If you did 1 hour without the overnight, that would be just fine, but the flavor and plumpness of the figs would be less. When you are ready to serve, slice them in half. That is how they look their prettiest:) On the tray, add crumbled sheep feta or goat cheese. Try it with a glass of Malbec! you’re welcome sandra! so glad he enjoys them! Enter your email address to follow Tiny Kitchen blog and receive notifications of new posts by email!